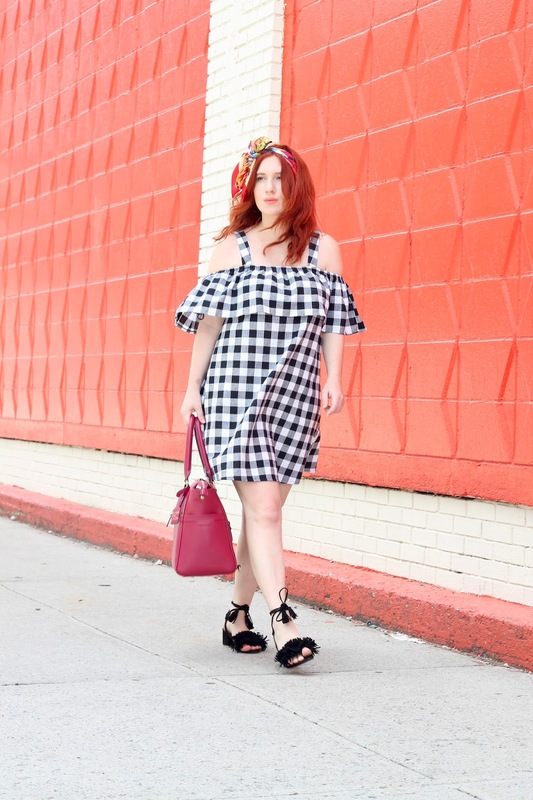 As the sun starts to peek out of the clouds I'm finding myself opting more dresses and sandals. 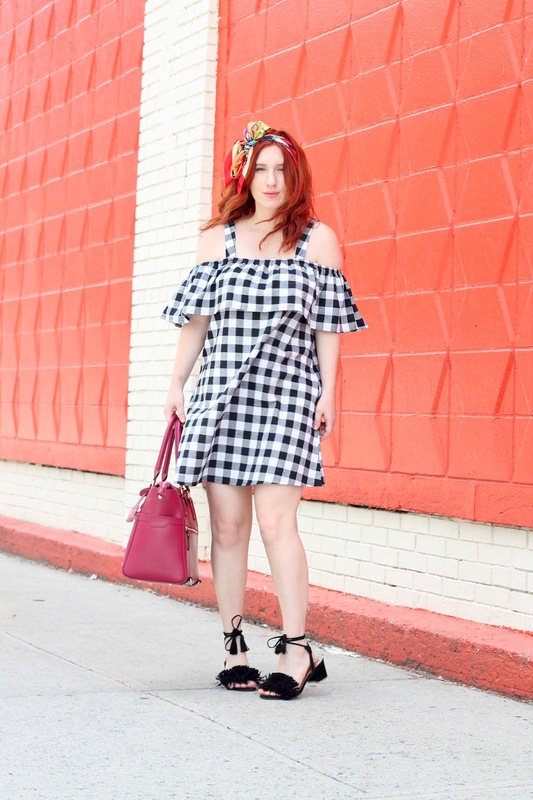 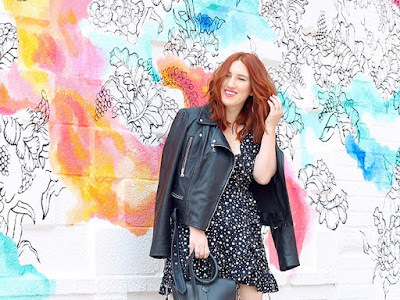 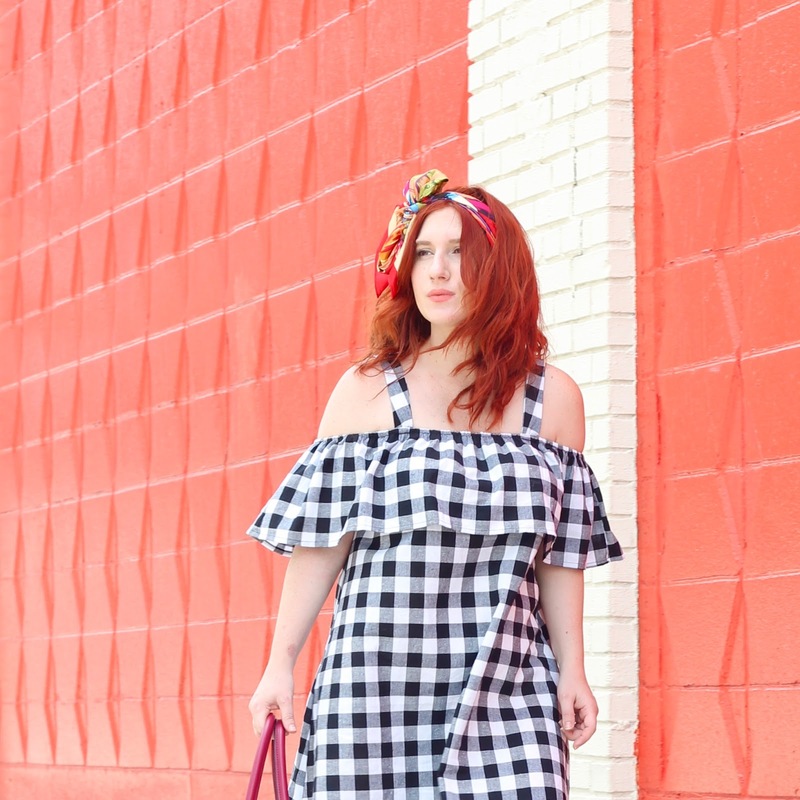 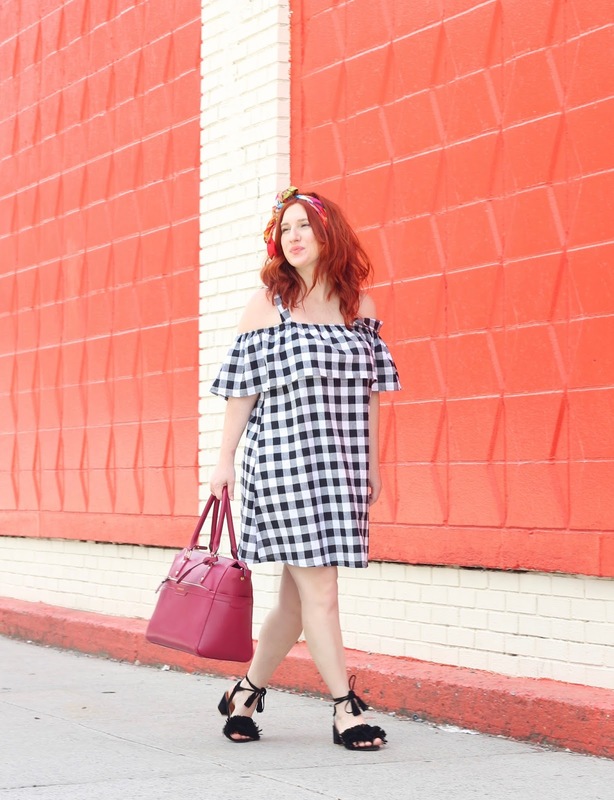 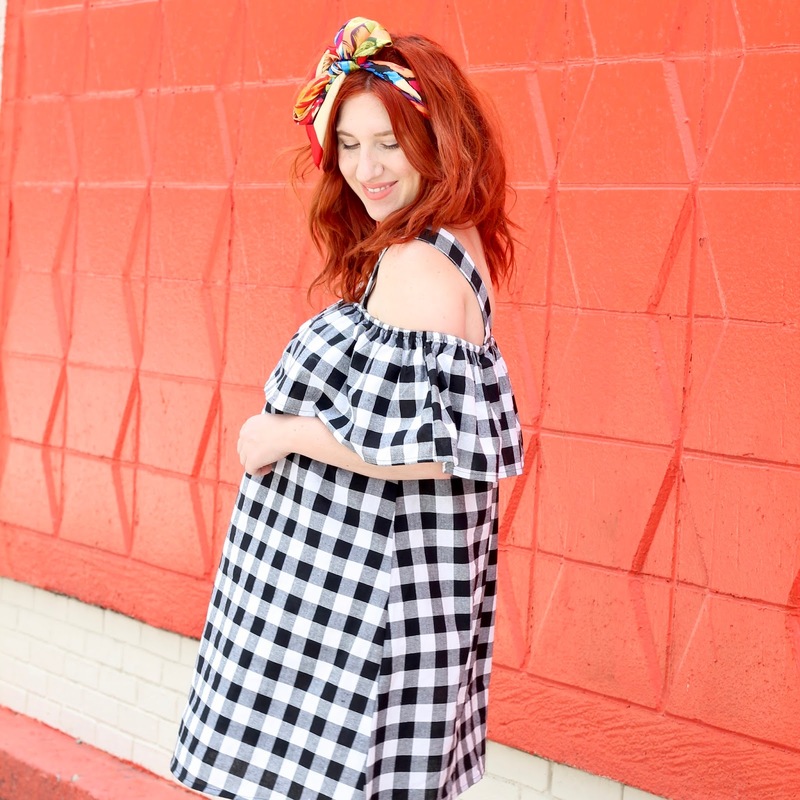 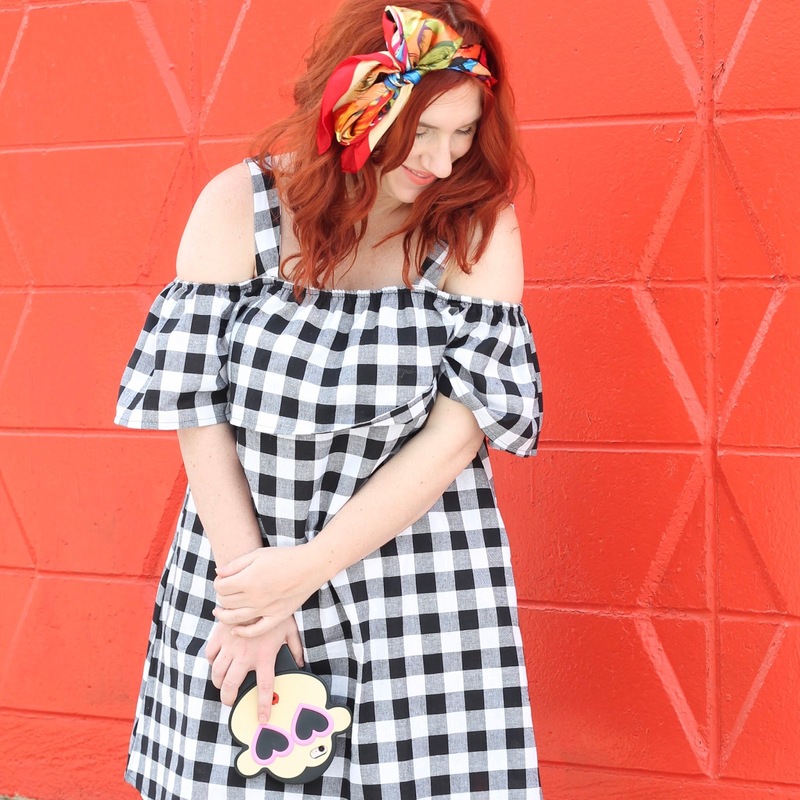 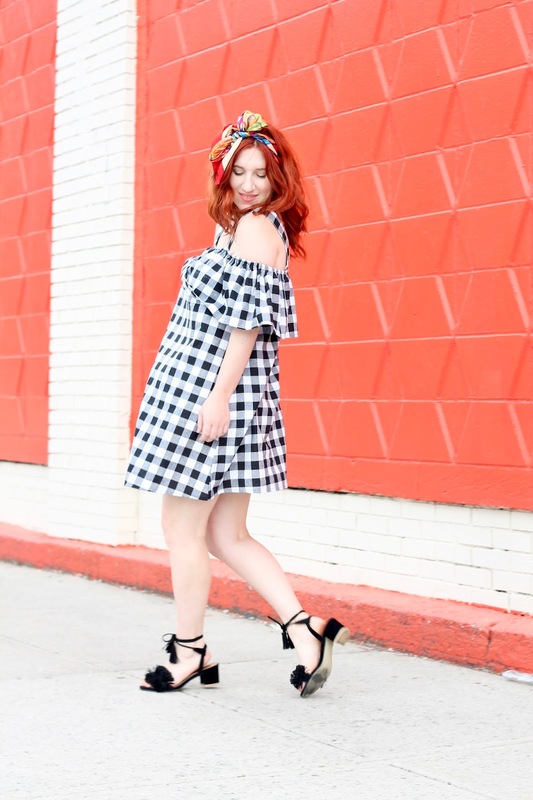 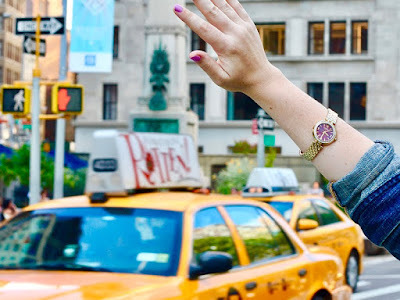 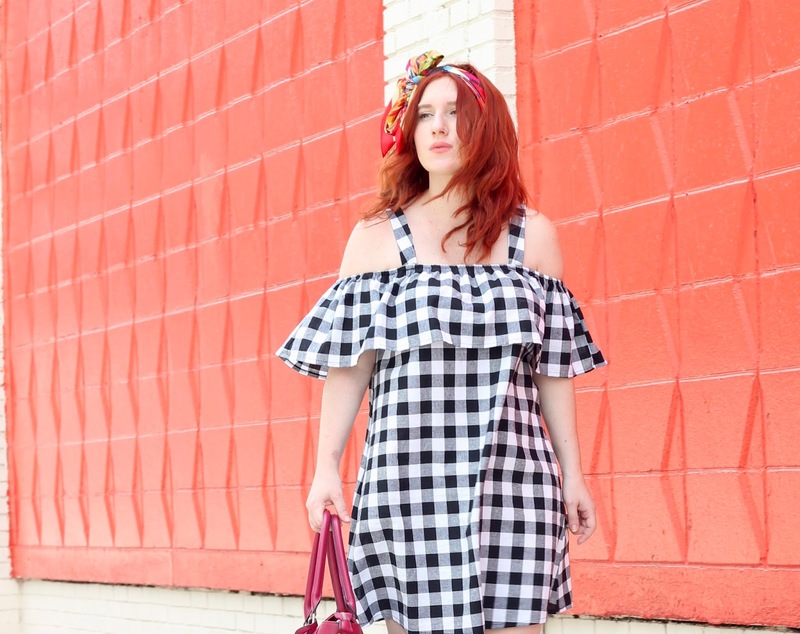 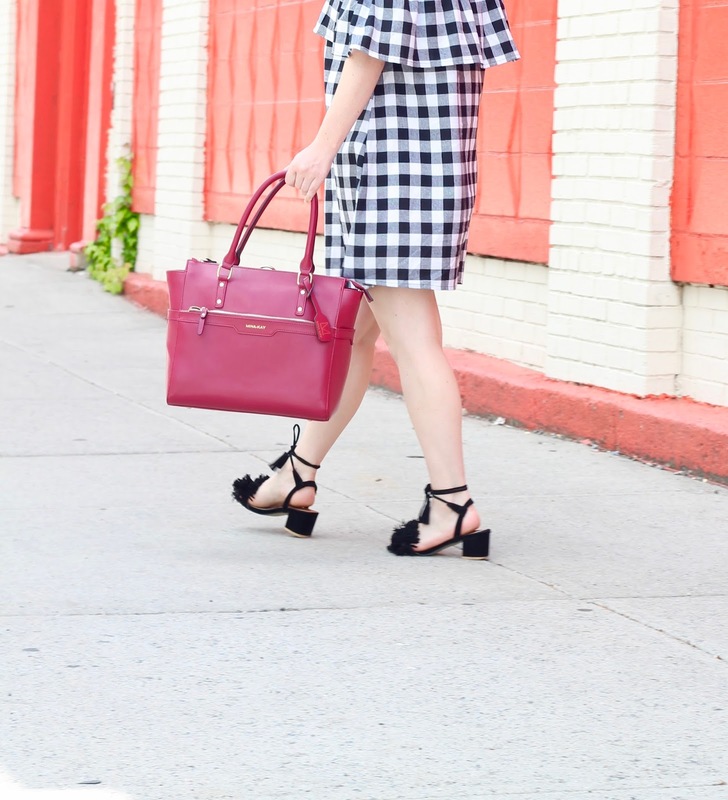 It's hard to transition to summer without a closet stocked full of dresses, especially easy just-throw-it-on-and-go dresses, like this ASOS gingham dress. 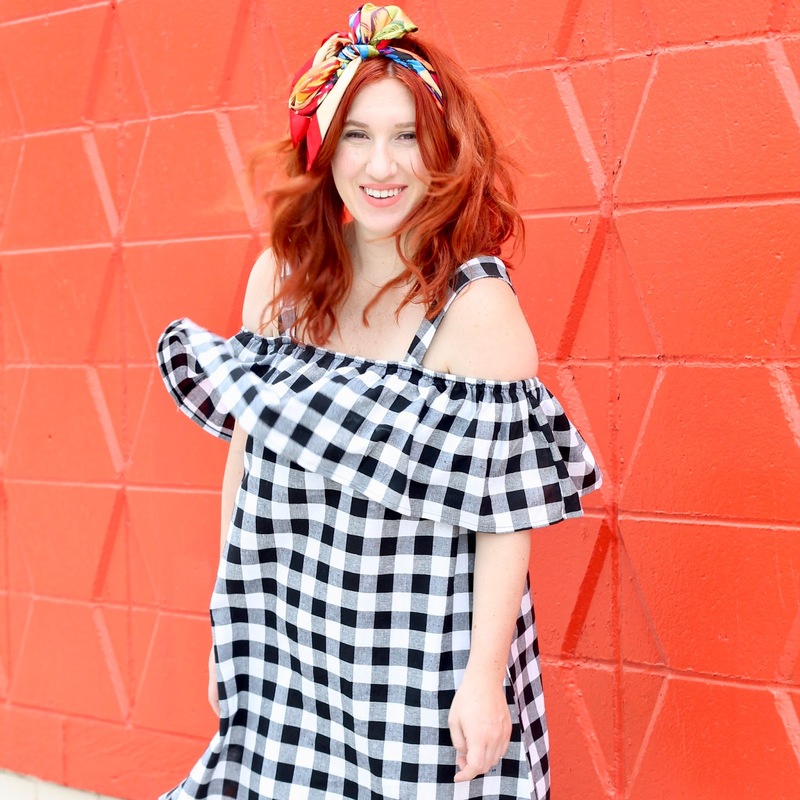 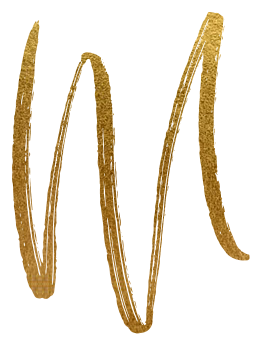 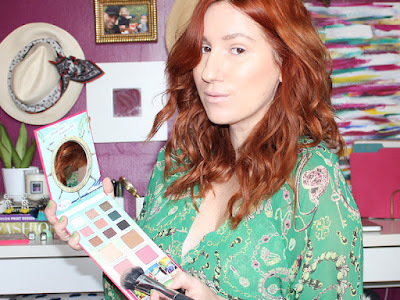 It's easily paired with sandals or sneakers and is light enough to make it through the summer heatwaves. 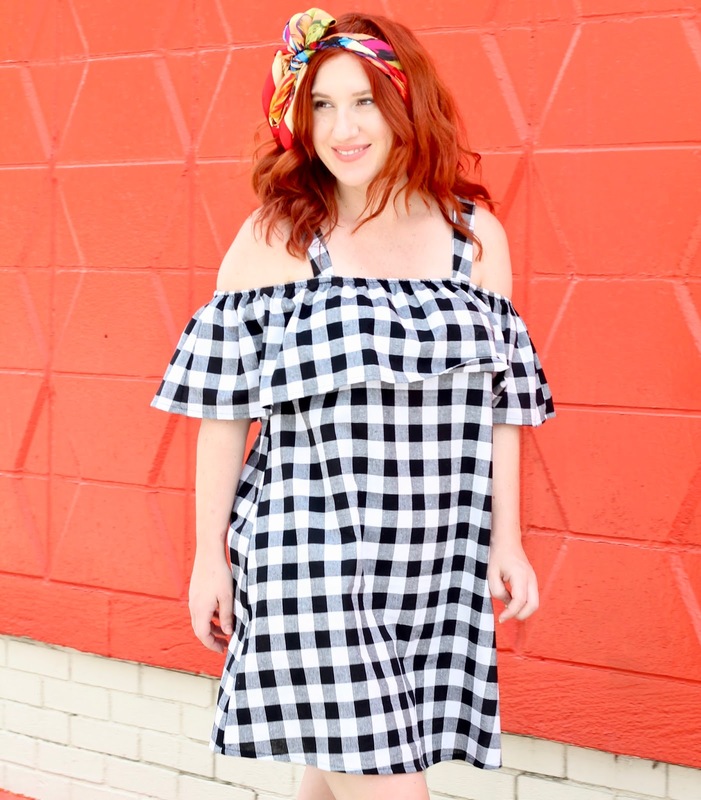 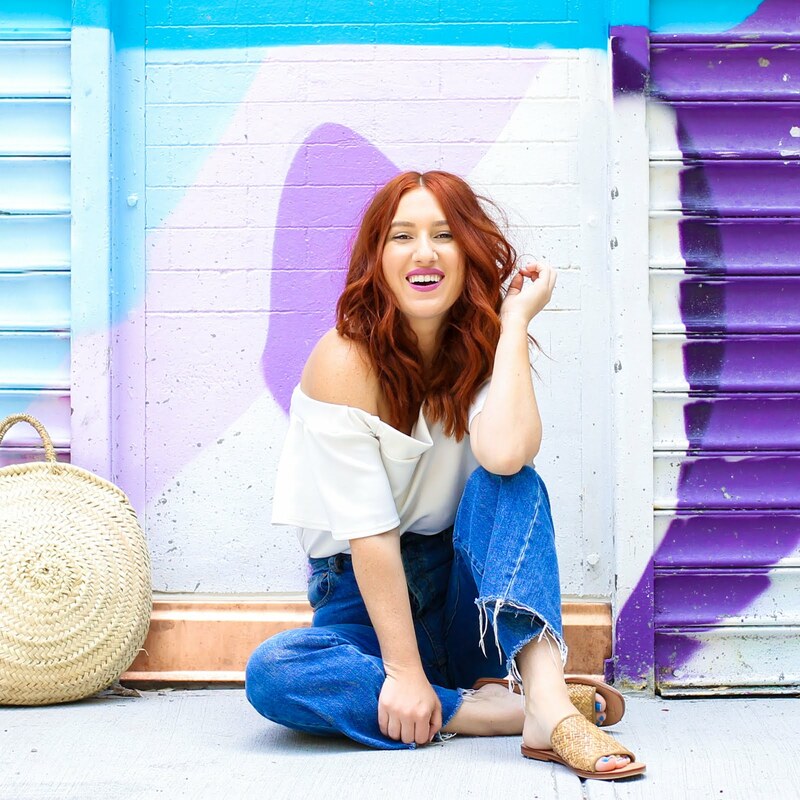 I love the added texture from the fringe wrap sandals and the bright scarf - it's the perfect pairings for kicking off summer outdoors.